Did you know that 85% of cats show signs of oral disease by the age of three? And 95% of cat owners believe that tooth and gum problems can cause more serious health problems? How do we insure our cat’s dental health? We brush our teeth everyday, but what about your cat’s teeth? Good news! You don’t have to go find your cat a tiny toothbrush and try to brush their teeth. I would highly recommend that you don’t. Think of all the scratches you may get while trying to actually use a toothbrush to clean your cat’s teeth. OUCH! Meow Mix Brushing Bites are a simple solution to caring for your cat’s teeth. They are specially designed to help clean your cat’s teeth by reducing tartar and plaque. 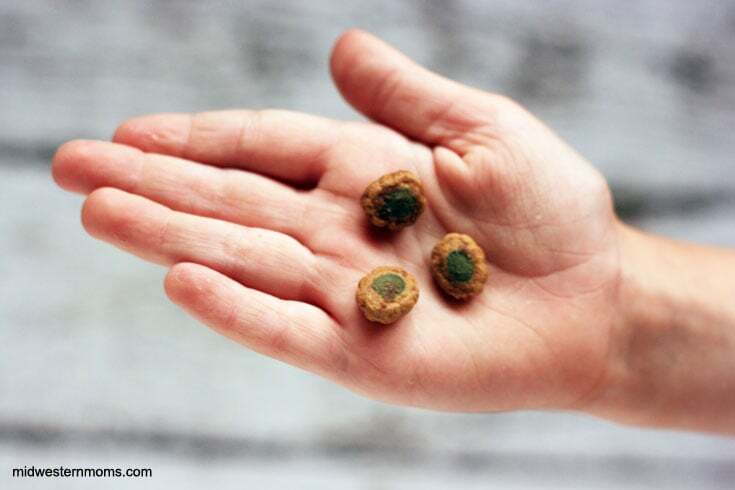 Plus, they are a delicious treat! The Meow Mix Brushing Bites comes in two flavors: chicken and salmon! 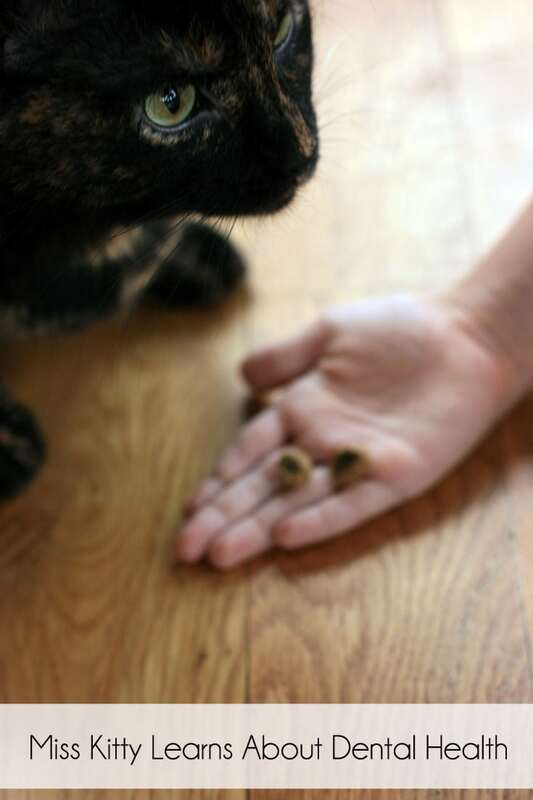 Miss Kitty loves them and so will your cat. She has enjoyed the chicken flavored bites and the salmon flavored bites. 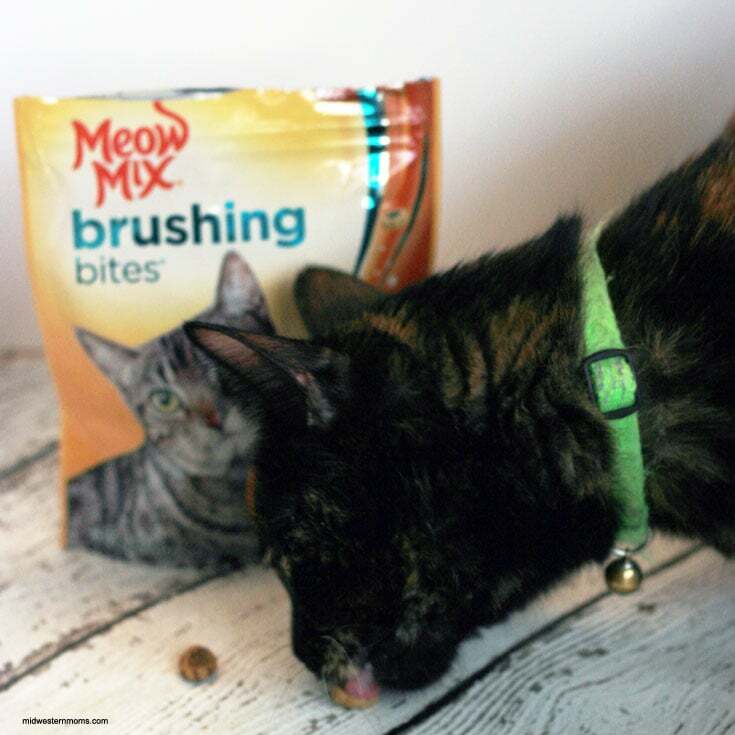 Meow Mix Brushing Bites are fortified with Vitamin D and calcium to help support strong teeth and bones. My oldest son loves to give Miss Kitty treats so I love how the Meow Mix Brushing Bites are good for her dental health as well as delicious. 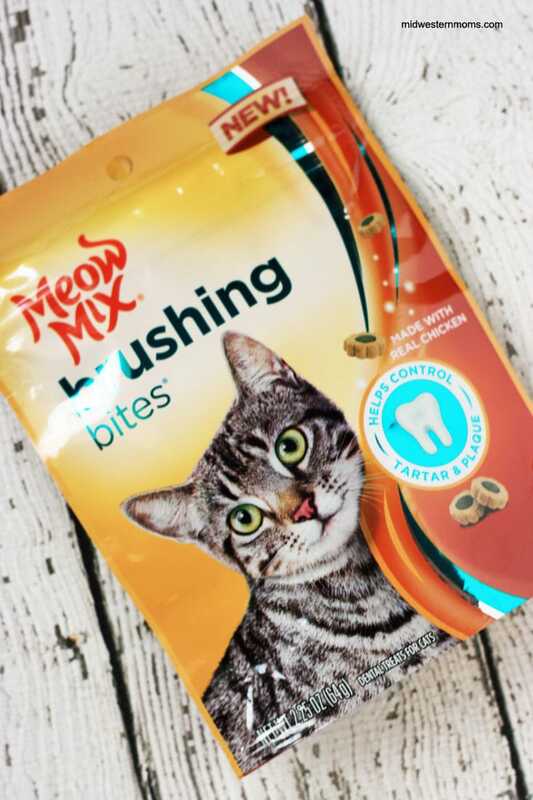 If you are concerned about your cat’s oral health, grab up the Meow Mix Brushing Bites at your local Walmart store. They are located in the Pet section where all the cat treats are. I will need to get these, thanks for the tip!